On September 21, 1938, the first major hurricane to hit New England since 1868 made landfall as a Category 3 storm. The havoc that it wreaked was extensive and deadly. It left a trail of damage that could still be seen in some areas more than a decade later. 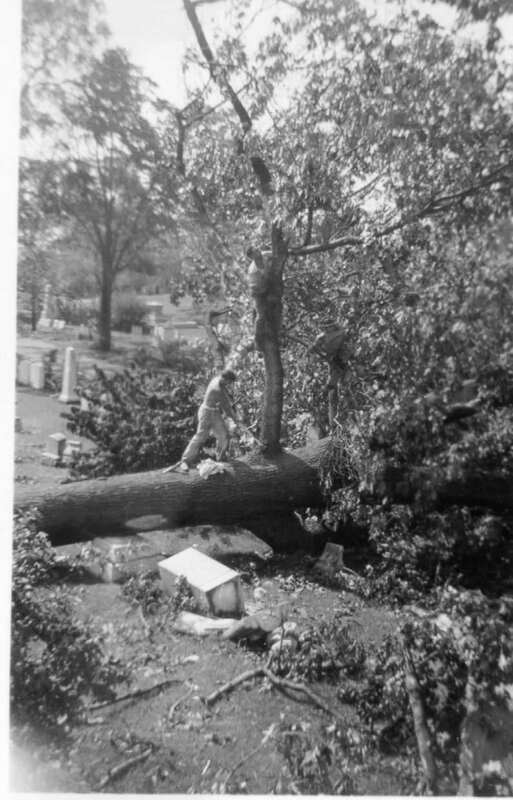 At Mount Auburn, the immediate impact of the storm was easily evident in the toppled headstones, crushed lot fences and tangled masses of trees and debris that littered the paths and avenues. The lasting impact of the storm, the effects that you can still see today, are reflected in the 180 year old historic landscape. 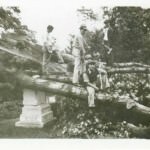 In addition to the damage done to monuments and family lots, the hurricane decimated Mount Auburn’s prized horticulture collection. Of the 5,100 trees estimated to have been growing on the grounds before the storm, 811 (approximately 16% of the total collection) were destroyed. In addition, 1,200 more trees were found to have been damaged. Despite all the damage, the Cemetery saw an opportunity to replant and replace what was lost while expanding and diversifying its collection. From 1939-1940 alone, over 1,500 new trees and shrubs were introduced to the Cemetery, many of which were unique or rare. 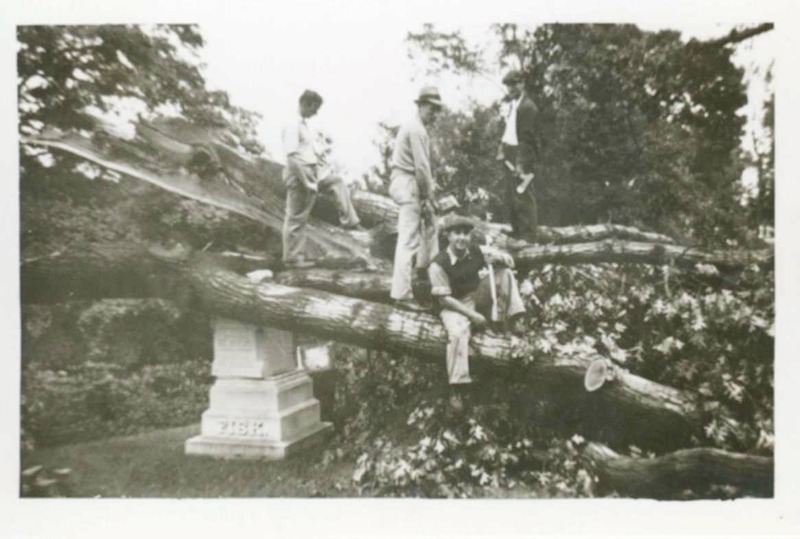 Due to the massive efforts that were undertaken to restore and preserve the Cemetery’s landscape after the storm, what we see reflected in today’s landscape is very similar to what was present before 1938. 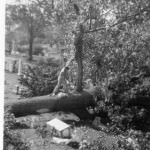 Though the Hurricane of 1938 proved that change is inevitable, the original design of the landscape has managed to adapt- continuing to change and evolve into the award winning landscape of today that is home to a diverse and prized horticultural collection.